When we were expecting baby chicks, we received plenty of discouraging criticism. One was a warning that chickens would ruin our yard, second to the myth that chickens are dirty. The comments came most often from well-meaning people who still bemoan their mid-century farm chores, when chicken keeping was still part of basic rural survival—far different than what raising chickens can be today. We are no doubt raising a little rural charm in our backyards, but the mode is different—our chickens are pets, often named, and they’re expected to live for many years. We also provide better healthcare and personal attention. Most importantly, we don’t keep too many of them. Nonetheless, chickens can do a number on your yard if you’re not careful. 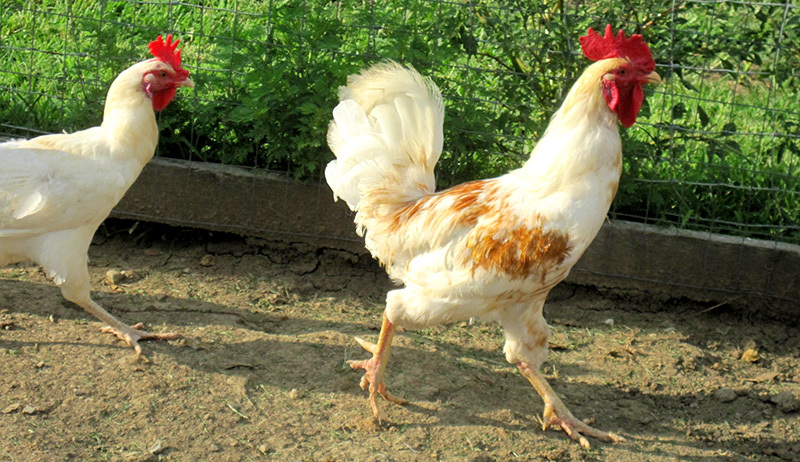 Here are some tips for keeping your yard in tact while still enjoying your backyard flock. A small flock of backyard chickens love to eat grass, but it’s impossible for them to eat an entire yard of it. What destroys grass is the high nitrogen content in fresh chicken poop. In the small confines of a chicken run, the swift layering buildup of chicken poop smothers and chemically burns the grass, obliterating anything growing in a new run within a week. Alternatively, a small amount of chicken poop is an effective fertilizer. Free-ranging a flock evenly distributes chicken poop throughout the yard, making it the cleanest chicken keeping method of all, with no toxic buildup anywhere. Of course, you still need to clean the coop regularly. The solution to pollution is dilution: Consider diluting your chickens with an abundance of space to avoid toxic buildup of waste. Large waste can be picked up and composted, or diluted and washed away with a spray of the hose if you prefer. Small waste deposits can be left alone. Free-ranging to avoid chicken waste buildup and toxic spaces doesn’t give us permission to fill our yards with even more chickens. Raising too many chickens in a backyard actually will destroy your yard, just like well-meaning former farm kids will tell you of their own larger-scale farming experiences. 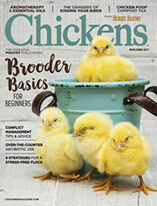 Raise too many chickens for your space, and your yard will transform into a predictable farm-shade of brown; but raise just the right amount of chickens for your space, and you’ll still be seeing green. 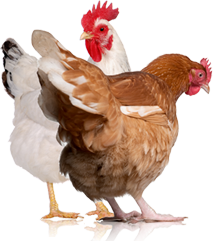 Chicken ordinances in cities and towns usually allow for raising a specific number of chickens within a certain area of space. 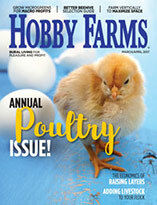 Many ordinances require that chickens must be raised in confinement for hygienic purposes. Unfortunately, even in a spacious coop and run, the chicken waste is concentrated in their small living area. If this space is not kept tidy, it can become a toxic and dangerous place for the chickens to live. A toxic, filthy coop breeds disease within a flock, and the coop will become a stinky nuisance for neighbors. While well meaning, ordinances can promote the very problems they’re trying to protect your neighbors from. Chicken spaces do have an odor, but it’s not decidedly bad. However, chicken spaces and yard areas should never stink simply because chickens are living there. When choosing the number of chickens you will raise, be conservative until you know how a handful of adult hens will affect your coop, your yard and your neighbors. Starting small will give you a sense of how well you can keep up with cleaning their spaces, too. In the long run, this will save your grass. Keeping the lawn a little longer will help protect it from the high nitrogen content in chicken waste. Short grass, on the other hand, is already prone to drying out, making it even more vulnerable to chicken destruction. When you do mow the lawn, consider mulching instead of picking up the clippings. When grass is picked up, chickens will munch on the tasty trimmed grass, scratching at the roots as they do. Because chickens prefer easier work when it’s available, mulched clippings offers instant gratification, and they will kick clippings around as they snack, instead of scratching directly at the ground.